There are thousands of gift ideas for 7-year old girls. Combining their growing interest in knowledge, fashion and entertainment, you can find gifts that will certainly be welcomed. When it comes to girls, it is often their creativity which drives playtime and it is why you can choose one of the following options if you want to make a lasting impact. 11. Educational Insights Kanoodle Jr.
Why we like it: The water bottle makes hydration fun and it offers girls the ability to show their creativity. Hydration is crucial for kids. They run around all the time and they need proper hydration to stay healthy. It is why a water bottle can be a good gift to use both at home and away from home. 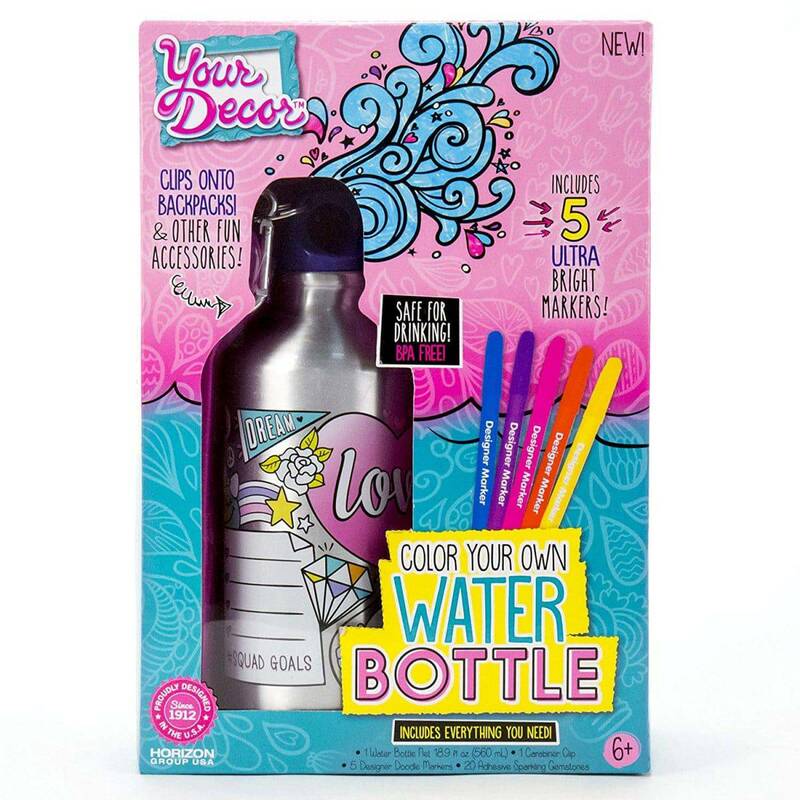 Horizon Group has made a water bottle which embraces the creativity girls have at this age. The BPA-free water bottle is recommended when it comes to everyday use. It also comes with all you need to personalize the bottle in a way which is true to your personality. Why we like it: Combining learning about plants with beautiful decoration is one of the best ways for girls to explore and gain knowledge of the surrounding world. 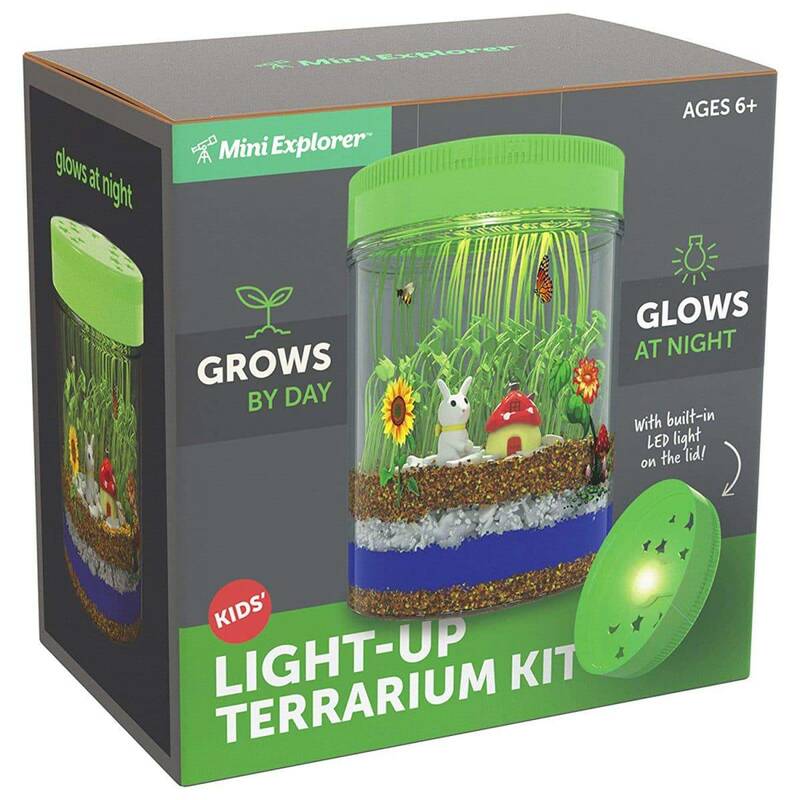 The Terrarium Kit is actually a mini garden. It allows girls to see it growing as it comes with a see-through jar. Even more, the mini garden is also visible by night. This is due to the fact that it comes with a built-in LED light which can also be charged via USB for practicality. Each jar comes with all what’s needed for the mini garden to grow. This includes sand, earth, decorations, wheatgrass and chia seeds. You can take full advantage of the kit by placing in the girl’s room as decoration. An instruction manual is also included so that girls can make their own mini garden inside the house. Why we like it: With a pink color, drawers, a ballerina and a dancing song, the box is a recommended gift idea for young girls. There’s little doubt that a music box is still popular with girls. It is why it can also represent a great gift idea. 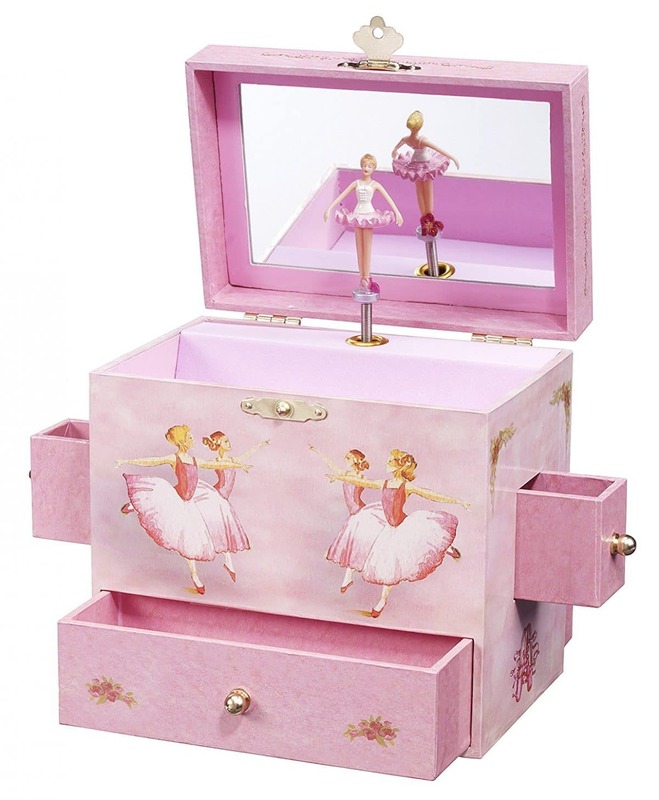 Since there are plenty of jewelry boxes on the market, the Ballerina Musical Jewelry Box is recommended for young girls. It comes with plenty of drawers for storage and it also represents one of the interesting choices when it comes to friendly colors. With a distinct pink color, it is great for girls of different ages. It even comes with the music from the Swan Lake for the ballerina figure. But girls can also use it as their own storage solution for beauty products. It is why the box also comes with an included mirror. Decorated with dancing ballerinas, the box can be stored as a decorative object as well. Why we like it: The game is simple but it requires focus, speed and coordination to win. 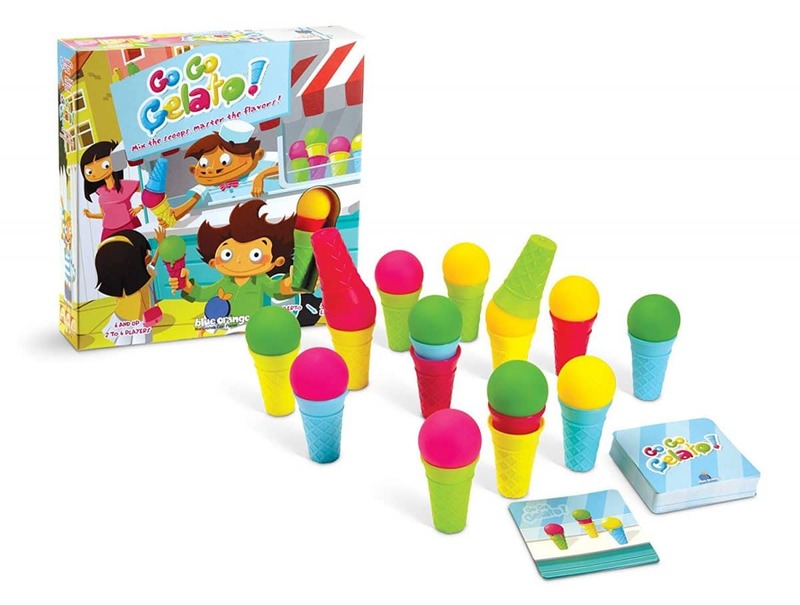 There are not many gelato games on the market. It is why Blue Orange can be one of the innovative companies with a game of mixing and matching the orders of customers for their own gelato. The orders come on cards and the first child to set the right gelato scoops from the pack of 12 wins the game. There are 16 cones which come in the pack as well, so kids need to be fast. The game is great for visual perception and focus. On a small level, it also improves problem-solving skills. It why the processing speed of the gelato is what determines the winner. The rules are illustrated and kids can choose any of the 54 orders which are printed on individual cards. Why we like it: Made to raise the curiosity in children, the book is recommended for the work of a detective and it comes with impressive illustrations from an award-winning illustrator. The book comes as a recommended gift when kids want to play detective. The A to Z Mysteries Super Edition combines the work of a detective with impressive illustrations. The illustrations hold various clues which are spread through the book. Children can spend their summer looking for the clues and solving mysteries as they go through the book. With illustrations from Stephen Gilpin, the book is child-friendly. 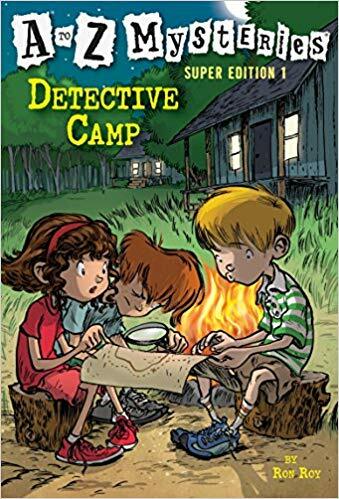 But apart from being specifically made for kids, the illustrations also have an immersive role into the detective’s role which kids can share while communicating and discussing the best way to solve each mystery and challenging themselves on finding the following clue. Why we like it: With an easy to install construction and a glow in the dark appeal, the tent can be a great gift idea. Girls want to be princesses from an early age. The tent castle is one of the practical solutions to make this dream a reality. 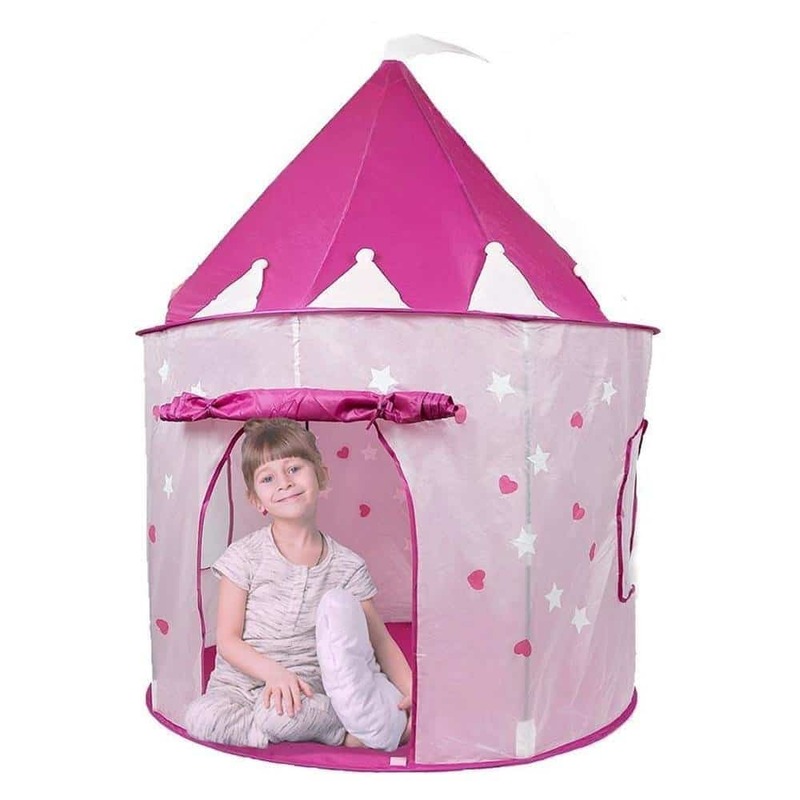 With a friendly pink design, the tent can be easily installed. It comes with fiberglass support rods which are all that’s needed for the castle to take shape. Designed with glow in the dark stars, the castle is recommended for evening play as well. But parents will also be glad to know that the tent is easy to clean. Made with polyester fabric, the tent can be wiped clean whenever needed. For the days that the castle needs to be moved, you can easily roll it into the carrying case it comes with. Why we like it: Made with many decorative options and distinct charm bracelet options, the kit is recommended for hours of fun and creativity. 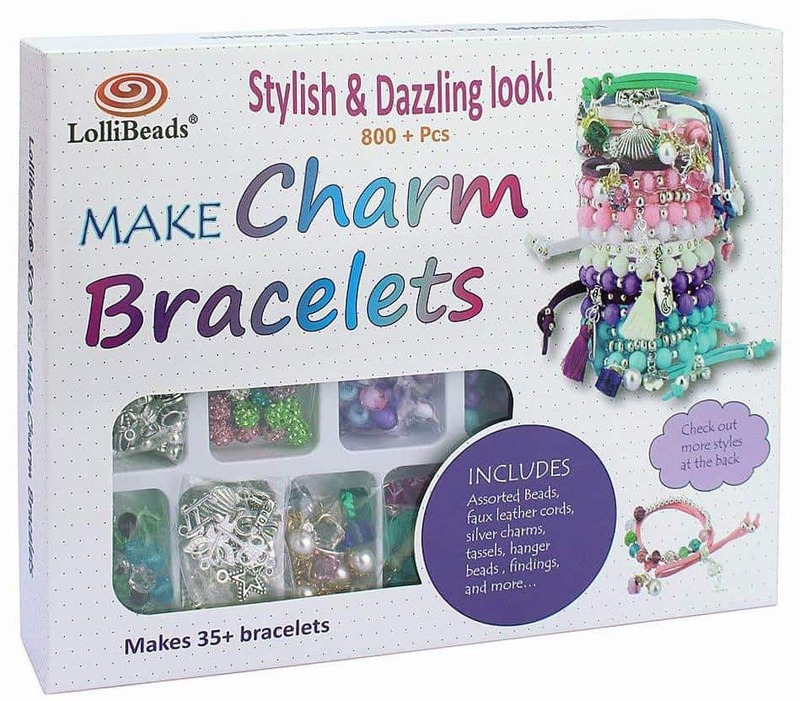 A kit of charm bracelets can represent a great gift idea for many girls. Making their own bracelets becomes a fun activity which can represent the foundation to good playtime with friends or even with the parents. The kit comes with everything girls need to play. With binding wire, string, jump rings or rhinestone pave clay beads, the kit is recommended for a custom charm bracelet. But the kit goes beyond simple looks at it represents a great solution for those seeking to improve the creativity of kids. With so many decorative options, the bracelets can be a true creative outlet. Why we like it: The medieval-inspired game is simple and immersive. But the best part is that it improves strategic thinking. 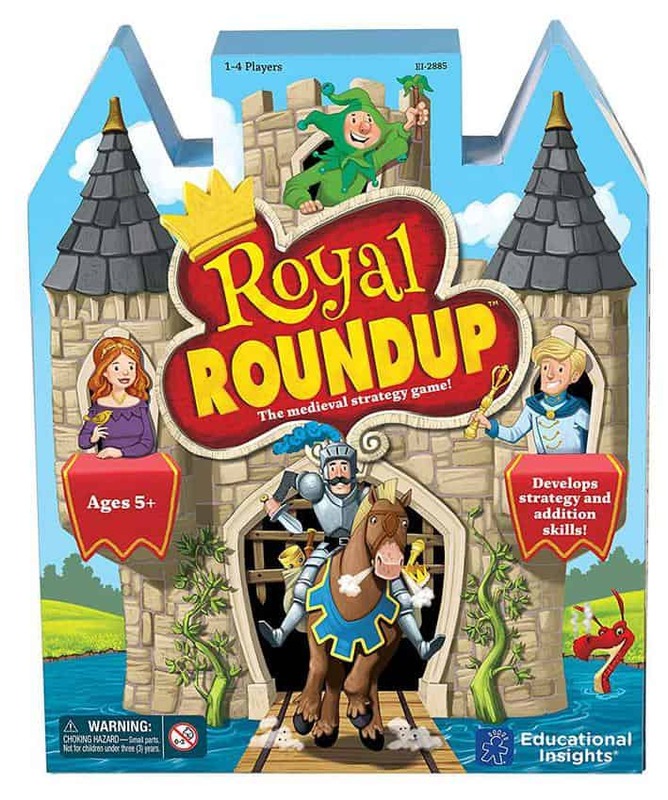 This medieval-inspired game is one of the simplest solutions to get immersed in playtime for hours. Girls can play with friends in a game which has the purpose of saving the medieval castle which is under siege. There are multiple treasures to be collected on the way. The best part is that this treasure-hunting can be a quest for all involved players. The game needs at least 2 players but it can work with up to 4 kids who are all involved in saving the castle. 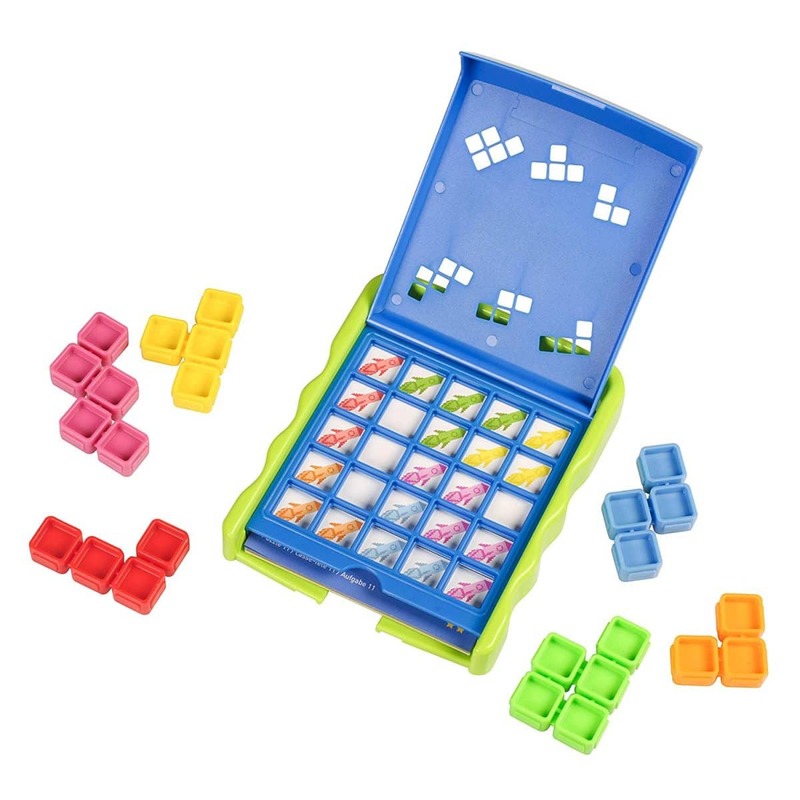 Made to improve strategic thinking and communication, the game can be easily stored away when not in use or it can even be a good solution for playtime when away from home. Why we like it: The gift set is a safer alternative to the products with toxic chemicals which often prevent young girls from having attractive nails. 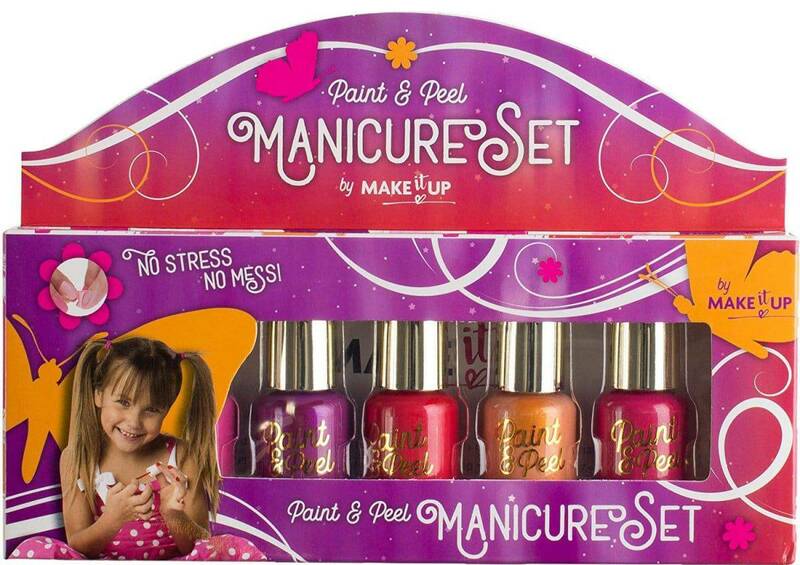 With a non-toxic formulation, the nail polish is safe for all girls. Being made from ingredients which do not cause allergies, it can be used by younger girls. But its performance is great even with a safe formulation. After applying it, simply blow on the nail polish to dry it faster for fashionable nails. The set comes in five happy colors which are recommended for the young generation and it represents a great solution for distinct nails for every occasion. With no harsh or smelly chemicals, the set can be used for a longer period of time as well. Why we like it: As a complete solution for creative sprinkle, the gift set is recommended for girls who want an attractive creative outlet. The sprinkle shop is a creative ideas for most girls. The pack comes with different tools to make your Jammin’ Jasling or Sugar Popling. With multiple whipped clay tubes, decorative shapes, decorative stickers, ice cream cones, and two cupcake bases, the set is recommended for the ultimate sprinkle fun. Using the gift is easy and the first thing girls need to do is to assemble their workstation. This then allows them to work freely on their own sprinkle fun. All the accessories such as the glasses, the tablet or the purse are included with the instructions. Why we like it: Based on the popular Kanoodle puzzle, the educational design for kids is recommended for the ultimate critical thinking. Why we like it: Made with intricate details, the bakery is very similar to what little girls would see in the real world. 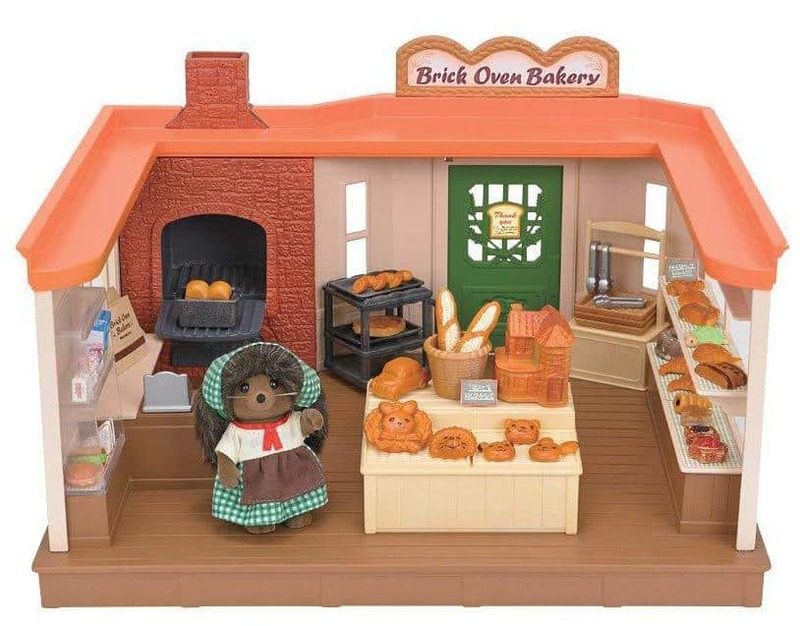 With over 40 pieces to play with, the Brick Oven Bakery is one of the most fun and challenging gift ideas for girls. Similarly to a puzzle, all the pieces need to be placed together. However, its 3D appeal makes it an interesting choice when it comes to an improved playtime experience. The good news is that the figurines and pieces can also be used independently. If your kids are fans of Calico characters, they will also be able to mix and match them to create a diverse and unique bakery in their own home. With durable pieces, the model is a long-lasting gift idea. Why we like it: Using the abilities of a jumping rabbit, the game challenges kids to find the right tactics in order to get home safely. 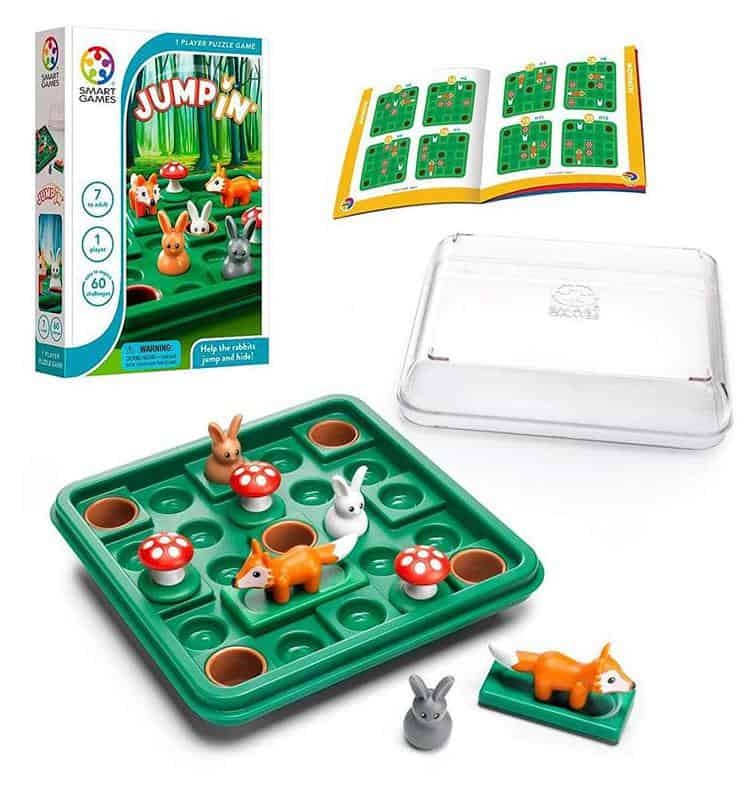 Made with a simple principle, the game requires user to jump with a rabbit over various objects such as mushrooms or foxes in order to reach safety. It comes with 60 challenges which all need different approaches, while the main task remains the same. It can be played with the entire family and it represents one of the most interesting solutions as a gift idea as it is innovative, durable and even portable. Why we like it: As a tool for self-learning, the book is recommended for most kids who want to master reading and writing. 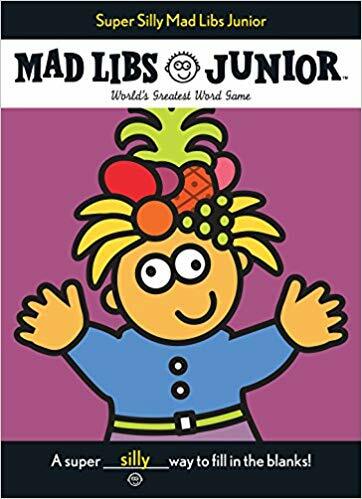 Mad Libs Junior is recommended for kids who cannot yet read. Made to offer a helping hand with daily words, it represents an engaging solution to learn proper spelling. Parents love that the book helps kids write a whole page and only check up on them when it is actually finished instead of simply going through each word continuously. With various nouns, adjectives or verbs, the book is mainly seen as an educational tool. 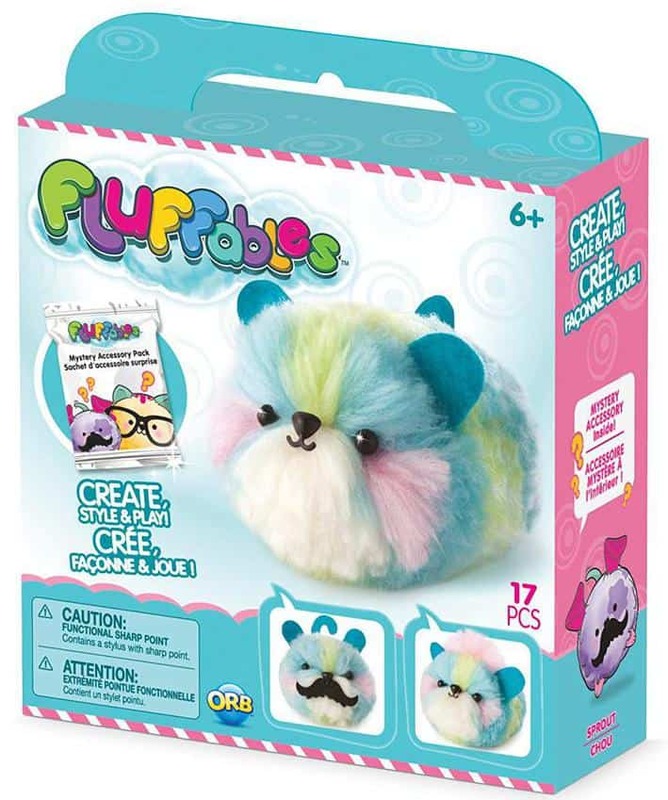 Why we like it: We like Flufflables because it is unique and it can raise awareness on the time and effort needed into building toys. The set can be a great gift idea for girls who love Fluffables. It comes with a make-it-yourself approach and it represents a solution to keep girls entertained for hours. With tools, fluff and a friendly design, the game requires considerable patience. As it represents one of the solutions which comes with plenty small pieces, it will test the patience and the perseverance of children. Once done, it can be undone and remodeled into a new Fluffable. Why we like it: With unique unicorn designs, girls can enjoy a new pair of socks every day which look and feel great. 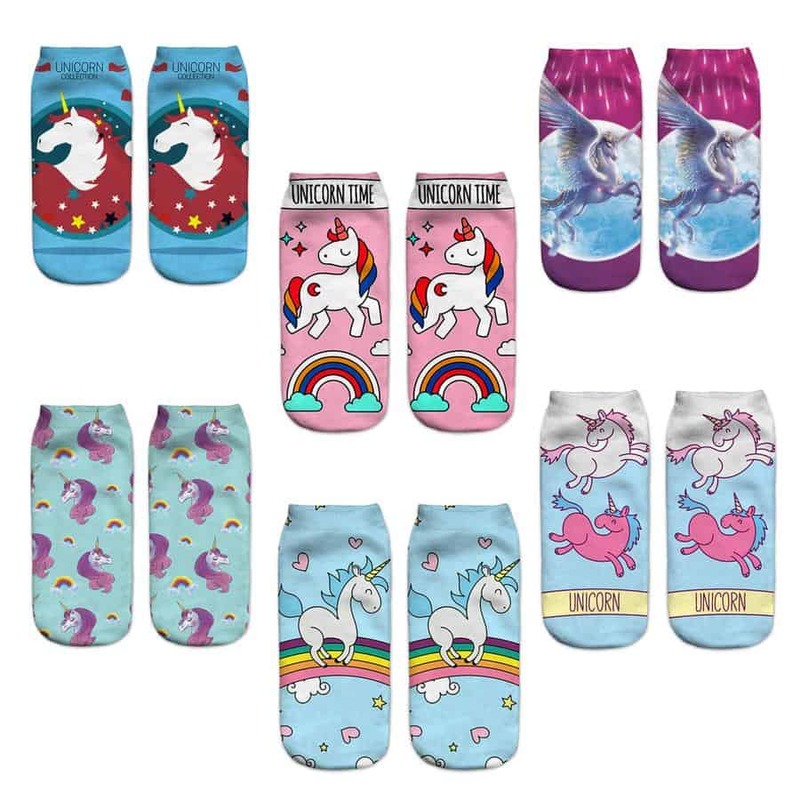 The pack of 8 comes with a unique unicorn pattern on each pair of socks. With appealing and friendly designs, the socks are recommended for most girls. The unique designs make them stand out in what can be a quite boring experience otherwise. Even more, the socks are durable and comfortable. They are made with a combination of polyester, cotton, and spandex. They have some elasticity and they are recommended for most feet. Most importantly, girls will love to wear them every day. Why we like it: Made with from scratch, the custom soap is a great way to learn more about the art of soap making. Making your own soap is fun and educative most of the times. The set comes to meet these benefits with 20 blocks of clear soap, shapes, 20 color tablets, fragrance, and cosmetic grade glitter. In the end, the final product might not be as large as a traditional bar of soap but it represents one of the most interesting additions to the team of educational gift sets. 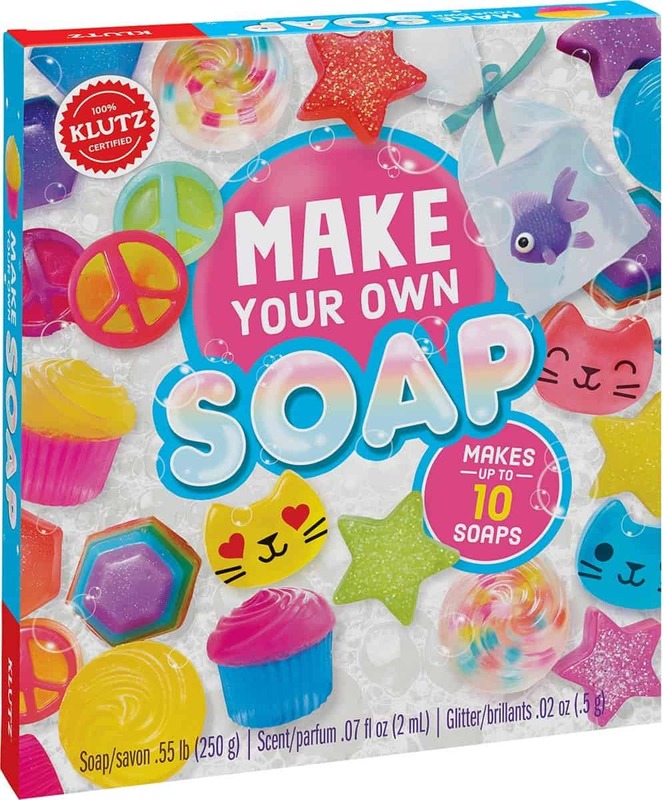 Using the various shapes provided, young girls can create their own custom soap in a friendly design. Why we like it: Made from quality parts, the set comes with figurines, tools and even ambulances for a realistic representation. 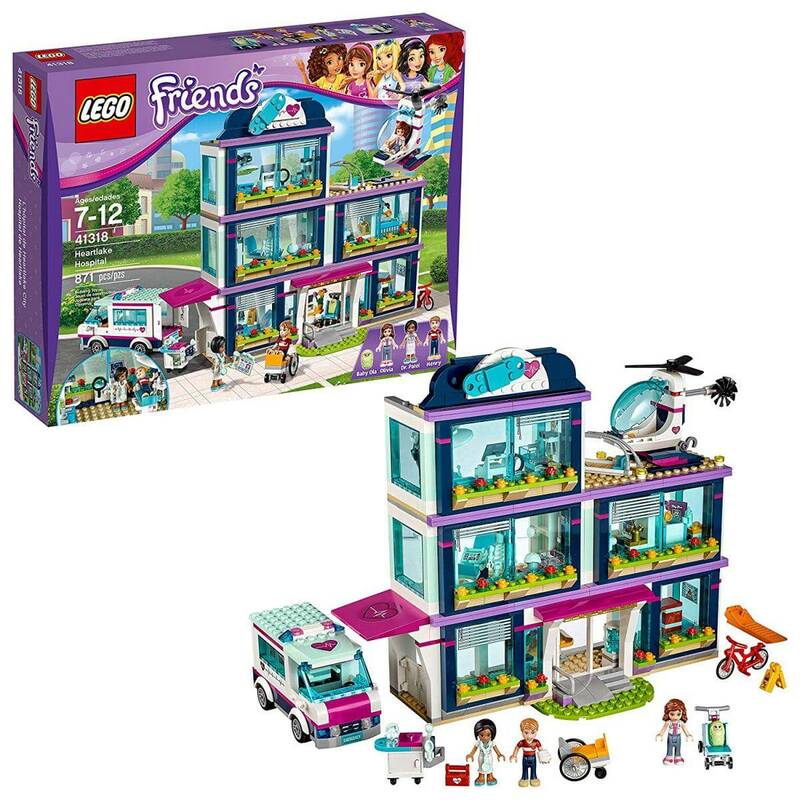 LEGO’s hospital kit is one of the most interesting solutions from the international manufacturer. Made with multiple pieces, figurines, ambulances and rescue helicopters, the kit comes with an impressive number of 871 pieces. It also represents one of the most interesting options when it comes to actual quality, as LEGO fans can attest. At 10in in height and 11in in width, the LEGO hospital is a constant effort to build a large functional unit which challenges the creativity of children. Why we like it: The story is engaging and easy to follow. It allows kids to use their imagination to follow along. Following the story of Harriet, the book is a top story for most young girls with plenty of lessons to learn. With unexpected turns at times, it becomes a read worth considering as an inspired gift idea. 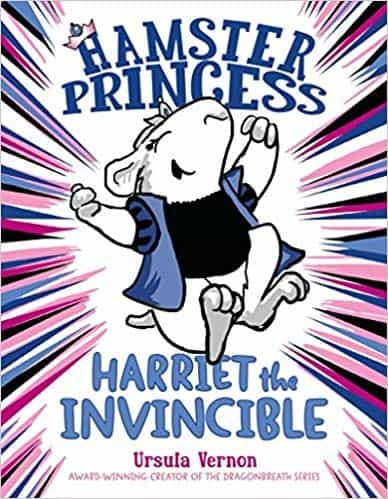 The book follows the story of Harriet who lives in a castle but who is not too keen on the princess life and its rather repetitive days. It is when Harriet finds she’s been cursed that she plans to make the most of her life living incredible adventures. Why we like it: With a distinct design, the headlamp is appealing to the younger kids who need it to play or for safety purposes. 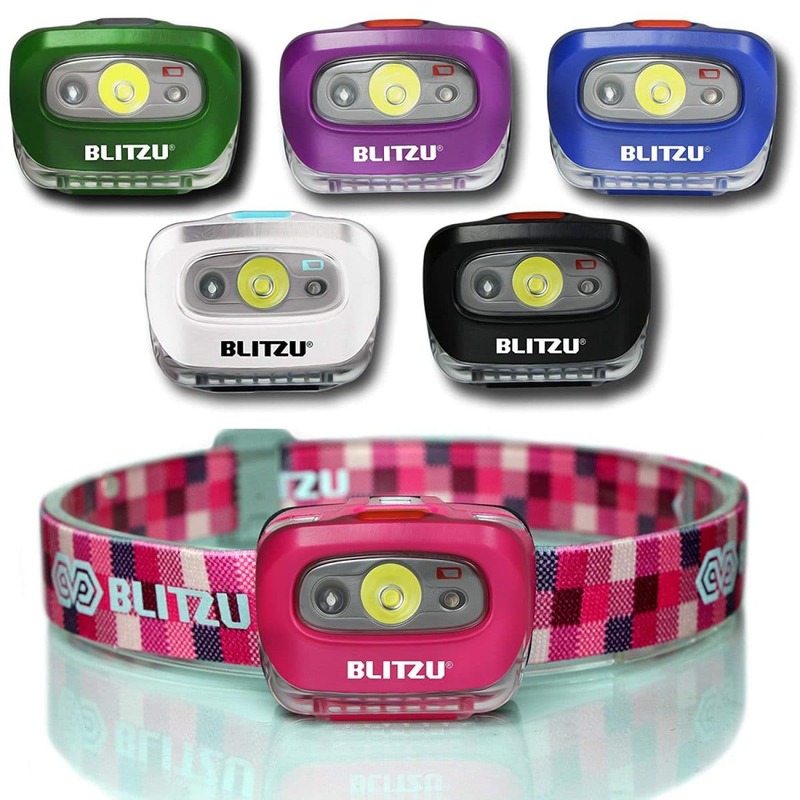 Made with 7 lighting modes, the headlamp can be an interesting gift for active girls. With 165 lumen, it is enough to use even in the darkest situations and it can represent a good accessory to have while playing hide and seek. The lamp is available in multiple colors and it can also be used for safety purposes. For example, girls can wear it while cycling. With its compact size and low weight, it can be used by all kids. Why we like it: With a 28-page book, the fairy kit can be an innovative solution to promote better sleep and to combat various fears. The fairy dressing kit is one of the creative ideas to be considered for young girls. In the set, you will get a wooden fairy doll, a fairy wand, craft floss, garland stands etc. 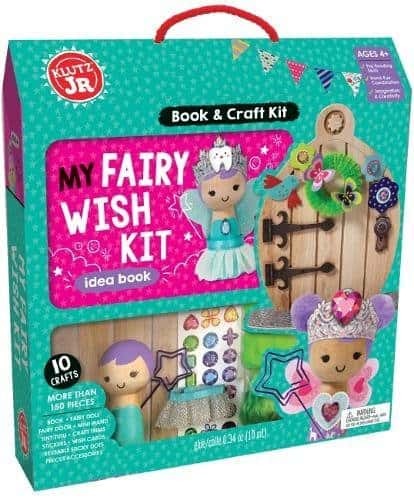 They can be used to create a beautifully decorate fairy doll and an access door which can be placed around the house when the time comes for the fairy to make a visit. For many kids, the fairy can be used when the to give them courage when afraid. It can also be used for the time when the tooth fairy visits. The special instructions and step-by-step guide will help children assemble the fairy doll. The kit can be reused and reassemble if you decide to put it back into storage. With durable materials, it can be easily assembled again when needed. Why we like it: Using a classic game, Asmodee has made a modern interpretation which is educational and which can find adults playing together with children while traveling. 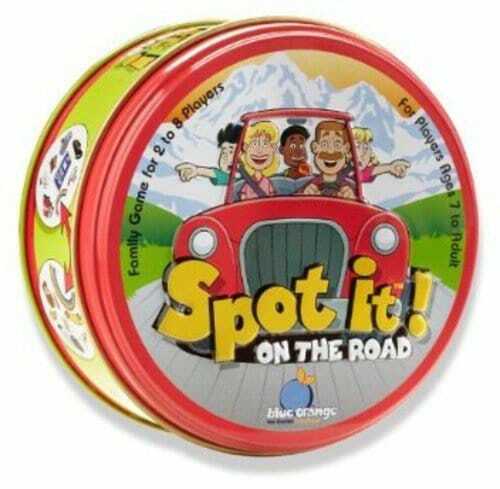 Spot it is one of the classic games played to break boredom while traveling. Asmodee has developed 5 playing modes using cards with objects you would see from a car. It can be played by up to 8 players and each card can take up to 15 minutes to solve. With a selection of objects, kids can test their focus skills trying to spot them as seen on the cards. The manufacturer also makes similar products in other languages so that kids can test and learn new words while traveling. Using multiple cards, kids can make the most of their road trip and also take the pressure off the parents when it comes to making them more patient until arriving at the destination. The game is fast paced and it requires determination to spot all the objects you see on a card. There are up to 8 objects on each card and the person who spots the most wins the game. Why we like it: The innovative toy can teach kids a few things about how to properly care for an animal without all the risks which would come with a real pet friend. The Hatchimals with collectibles is one of the most recommended solutions as a dedicated toy. It is easy to use but at the same time complex. 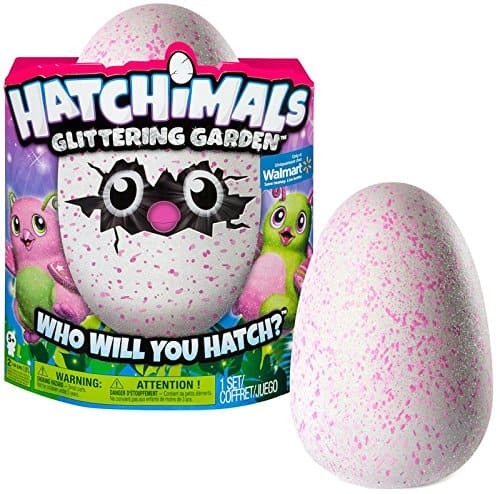 Each Hatchimal comes in an egg which is ready to hatch. Once you can play with your Hatchimal, you will need to teach each how to walk, dance or play games. Even more, it can repeat words after you which makes it an interactive toys that has girls hooked for days. The Hatchimals in each egg are a surprise and they are meant to be collected. Interestingly, each Hathcimal goes through growing stages. Kids will need to be with them for baby, toddler and kid stages. Each package comes with 2 Hatchimals for kids to play with. Why we like it: The lip balm set is distinct as it combines favorite characters redesigned into friendlier tones with great flavor profiles. The lip balm set can be one of the innovative ideas for a gift. Made with 4 balms in distinct figurines, it represents a cute solution for lip hydration. The balms come in different flavors such as strawberry or kiwi. They are packaged into figurines which are inspired by cartoons and from movies. It is why little girls find them friendly and appealing. 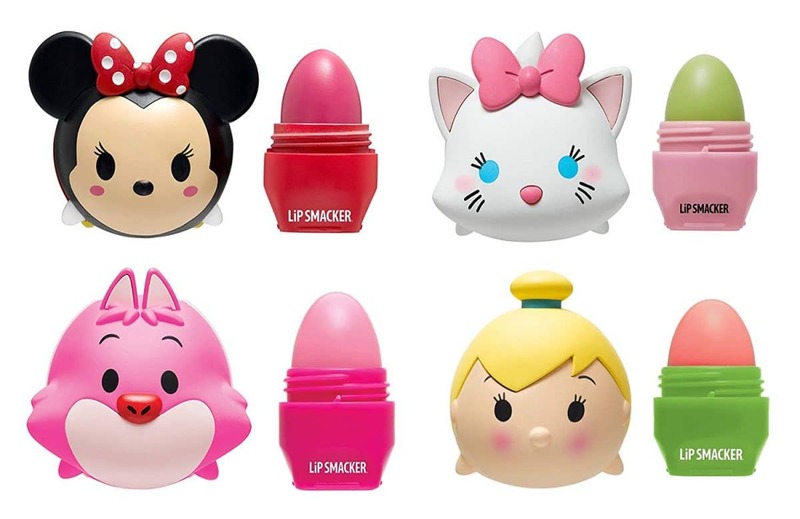 The lip balms are also collectibles. Girls can find different designs to choose from and they can grow their own collection in time. With a moisturizing effect, the lip balms are actually effective, not only good locking. They come with shine and lip gloss which you would normally expect from a lip balm. But their tasty flavors also makes them a great solution for most girls. Lollipop and pixie peach pie flavors are among the favorite options for many girls. The practicality of the lip balms is also great when traveling. In order to use the balm, girls simply need to unscrew their cartoon character. Available in packs of 4, the lip balms are recommended for a new flavor every day. Why we like it: The set is a great tool for unique charm bracelets which look great and which are considerably more durable than similar alternatives. The charm bracelets come with a unique design. Most importantly, girls can make their own bracelets as the set comes with everything needed for the most attractive designs. The included accessories are a molding tool, air dry clays, pins, bracelets, beads, eyelets, glitter glue, etc. They can be used and combined to make unique designs which are distinct from most other charm bracelets on the market. Metal beads and charms can be added to the bracelets. They represent one of the best solutions for those seeking maximum versatility when it comes to unique design. Since the accessories are made from metal, the charm bracelets are heavier than similar alternatives. But at the same time, they are considerably more durable than plastic alternatives. 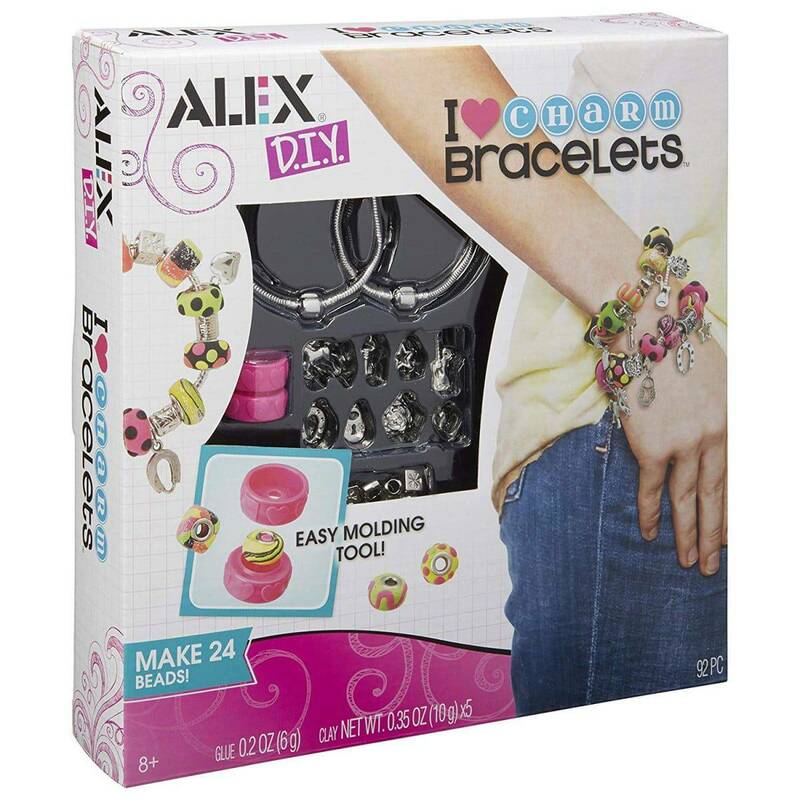 But charm bracelet sets are also recommended for added creativity. Girls can make their own designs from scratch and improved their planning and design skills as they move from bracelet to bracelet. Why we like it: Made in sets of 10, the hair chalk pens are one of the simplest solutions for all types of hair. The temporary appeal of the set is recommended for most girls. 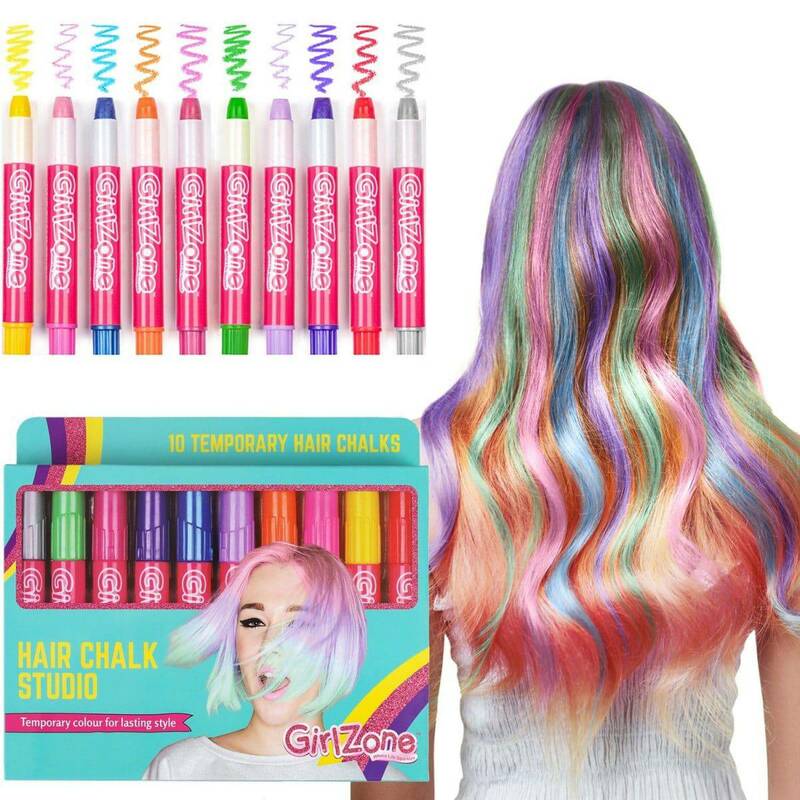 The set comes with 10 temporary hair chalks. It’s no secret that girls love to try different hair colors but the good news is that now they can do this temporarily without any side effects. With distinct colors, girls can get even designs which are guaranteed to work on all hair types. Since they chalks are friendly for the skin, they also represent a great solution for face masks. You can paint directly on your face for events such as parties. When the party is over, you can simply wash the chalk off without any worries. The set represents a great gift idea for one or more girls. It can be used at various events where girls can try out different colors. The chalks work on all hair colors. The lighter the hair, the more choices of colors girls have. Since they are all temporary, they can also be a good solution to see if girls would like more semi-permanent professional solutions in the future. Why we like it: With a distinct modern design, the teepee is hard to match when it comes to manufacturing quality. A teepee can be one of the ideal solution to create a dedicated space for children inside the home. 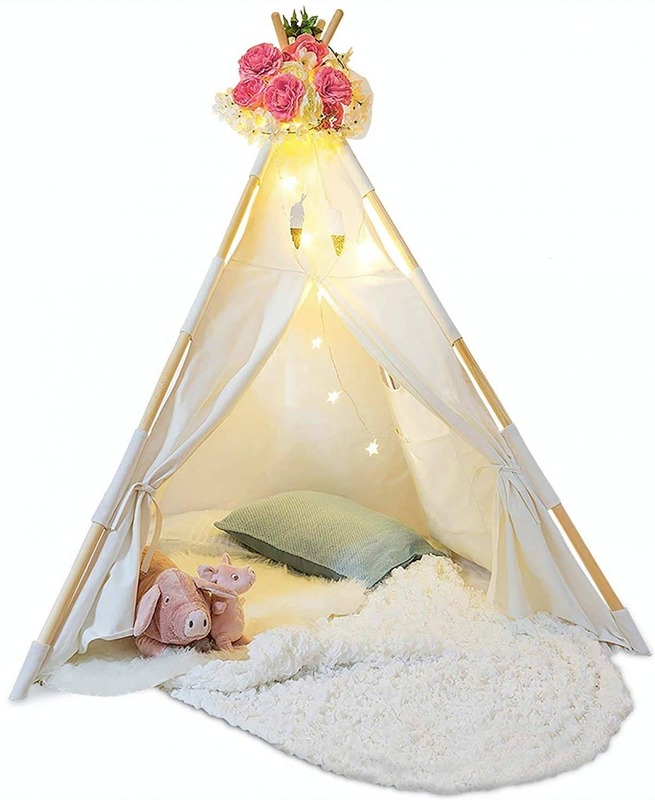 Tazz Toys has made a teepee which looks great and which creates a unique space for girls. It immediately differentiates itself from similar teepees with its modern design. So it can fit most modern homes. It comes with visible wooden poles which give it a certain degree of elegance which is then paired with two windows. At the same time, the teepee comes with a waterproof base which ensures you kids can lay in it for hours together with their toys, even when they play outside. The teepee can easily be customized. Since it comes in a bright white color, girls can personalize the space with carpets, pillows or blankets. During the evening, girls can also use the included fairy lights which create a unique space, perfect for reading or playing. The teepee is strongly recommended for dedicates playing spaces as a result. Why we like it: With an interesting approach to shoe decorations, the set is recommended for girls who wish to look like princesses. The dress up shoes come with a dedicate storage box and multiple accessories. They can be the first gift to introduce girls to the fashion world and it can represent a great set to get a grip on various decorative options for shoes. With plenty of jewelry which can be added to the shoes, girls can make the time to play and to feel like a princess mixing and matching all the accessories. 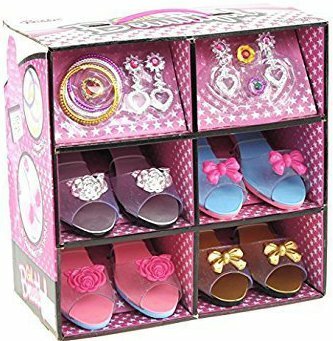 At the same time, once playtime is over, girls can store their creations in the durable box which comes with the shoes. It must be said that the shoes are quite loud and they are not meant to be used every day. But they can mark special occasions or they can be the foundation of great social events kids love, such as girls’ parties. Why we like it: With a distinct pink design and a 22-channel performance, the walkie talkies are a great first purchase in this class. 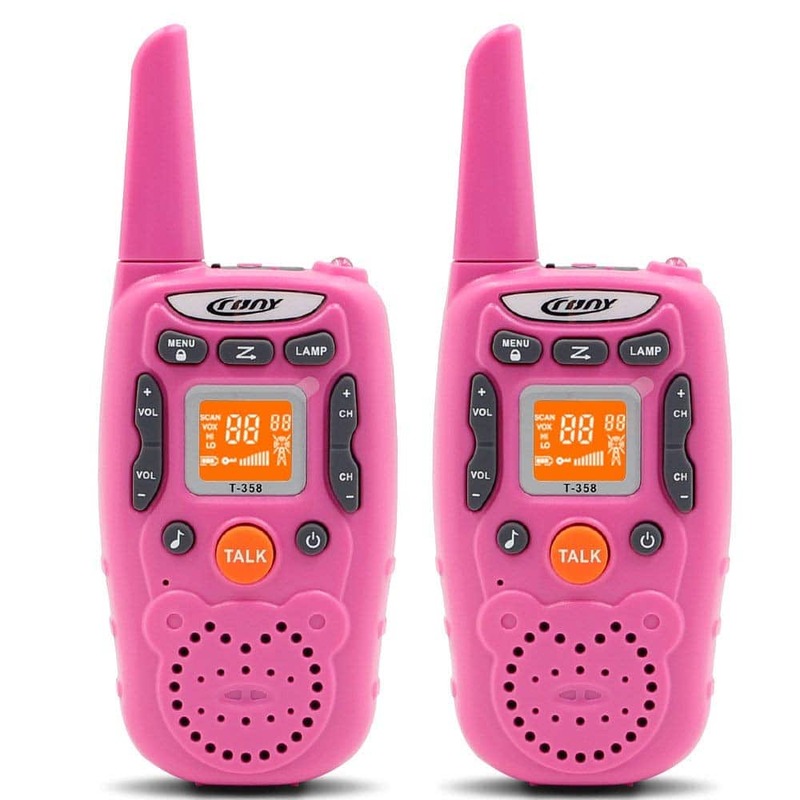 Walkie talkies are not for boys only. They can be used and played with by girls as well. It is why Engpow has designed beautiful walkie talkies especially for girls. With a pink case, they are distinct and friendly. But even if they look like simple toys, they are fully functional. The devices come with 22 channels and built-in LCD screens for range and battery data. With controls for volume and channels, they are very easy and fast to use. The range is not bad either. With a range of 2 miles, the walkie talkies can be used both inside and outside the house. If you are considering them as a gift, make sure to also purchase 4 AAA batteries to power the devices. Why we like it: The design is unique and it offers a microphone which can record and which can play songs to keep kids busy and entertained for hours. Singing is one of the favorite activities for children. 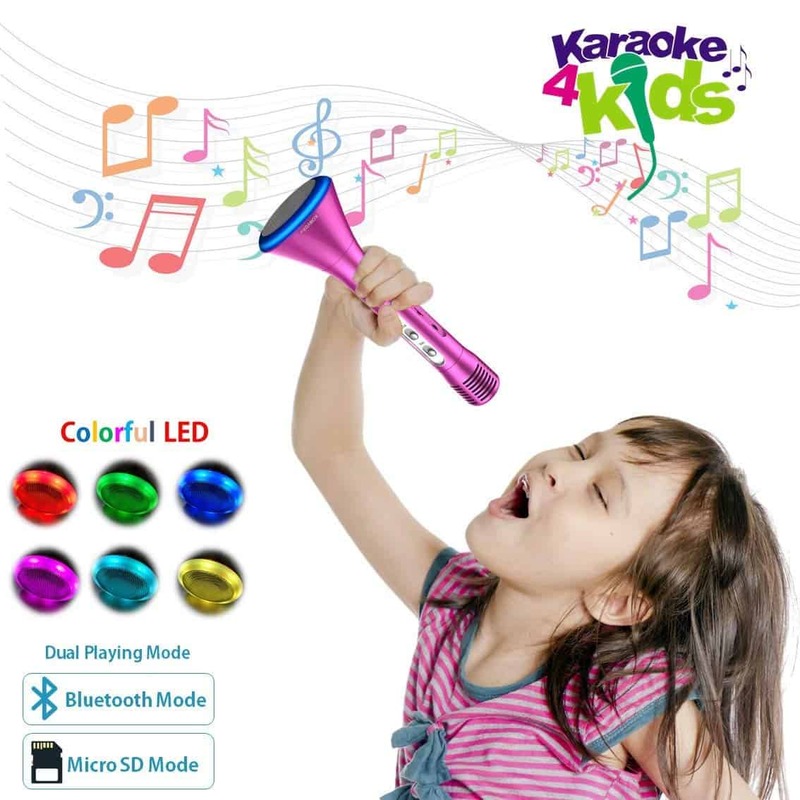 If your child likes to sing, a karaoke microphone can be a great gift idea. Komvox designed one of the most interesting devices for this purpose. With advanced features such as noise reduction, it is one of the affordable devices which records clear sounds. Kids also have the opportunity to share their singing as the microphone connects to smartphones via Bluetooth. All songs can then be published on Youtube or Spotify. The battery performance is not bad. With a battery life of up to 5 hours, the microphone can record plenty of songs. Even more, it can also play various songs from the TF card which needs to be purchased separately. At the age of 7, girls are full of energy, they are creative and keen to learn. All these attributes can translate into inspired gift ideas. For many parents, it means that these gifts are more than simple toys, they are actually tools of expression for their child’s personality. 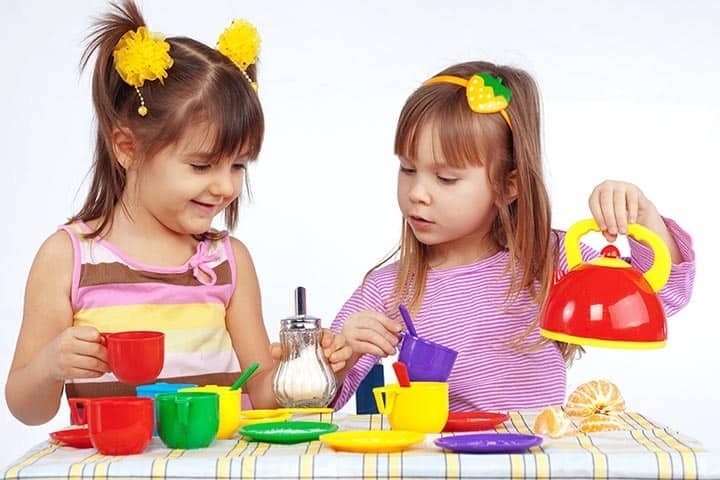 At the same time, it is also the age which kids remember and the toys they played with in their childhood are often fondly remembered in the future.